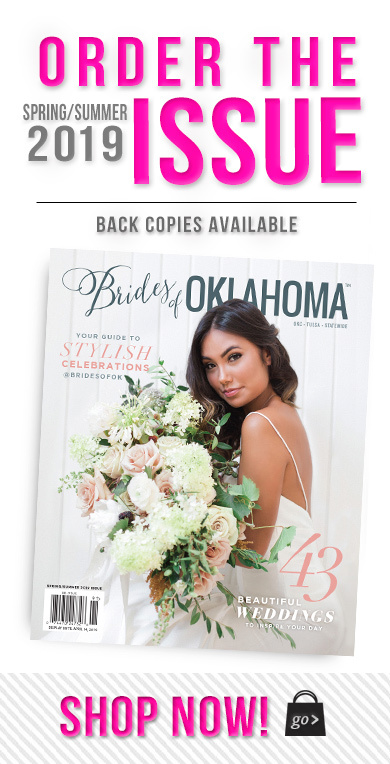 A picturesque outdoor setting with bright florals and rustic touches set the scene for Melissa and Shawn’s colorful Oklahoma ranch wedding. 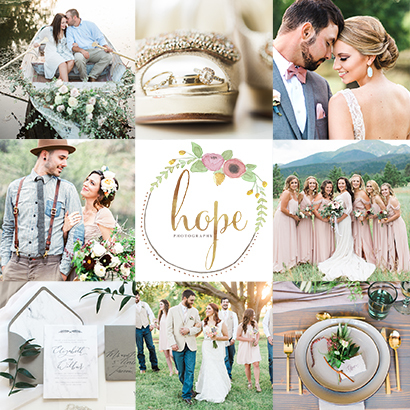 Thanks to Hope Photography for capturing all the prettiness! Melissa and Shawn met through mutual friends during college in 2008. They continued to cross paths after meeting and began dating. Fast-forward nine years and they finally got married! Shawn proposed to Melissa when they took a weekend trip to Dallas for a concert. After checking in to the hotel to freshen up before the show, Shawn popped the question! It was a great way to celebrate their new engagement while enjoying some of their favorite bands the rest of the night. 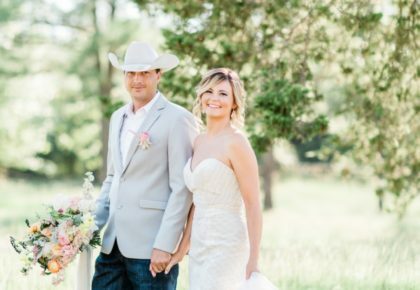 They immediately began looking at wedding venues and found the perfect place for them: Ranch of the Saints in Jones. The space gave them what they wanted, which was a whimsical, outdoor atmosphere. 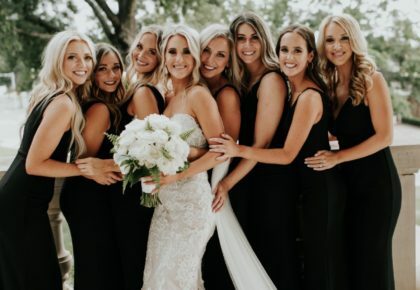 On the day of their wedding, Melissa and her maids got ready at the stunning 21c Museum Hotel in Downtown Oklahoma City. Some of her favorite photos were taken in the contemporary boutique hotel. The couple enjoyed every minute of their ceremony and reception, and wished it could have lasted hours longer. For a personal spin on the conventional guest book, Melissa and Shawn had guests create their own watercolor painting in honor of the bride or sign a disc golf frisbee to represent the groom. The Hall’s Pizza Kitchen truck was the perfect choice for the laidback reception dinner. Guests had fun and mingled while eating specialty slices and assorted Italian fare. Melissa and Shawn had a great experience with the venue and each of their vendors. 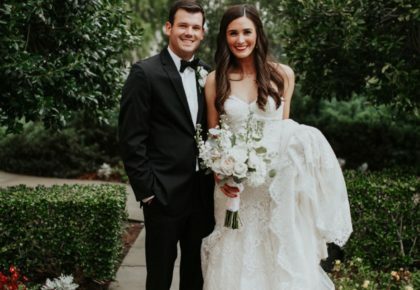 They had an unforgettable evening celebrating with loved ones, and are thrilled to have wedding photos to treasure forever and look back on an amazing evening.